The largest gathering of Lotus enthusiasts in 2011 will take place at Lotus Owners Gathering 31 in Las Vegas. LOG 31 will be hosted by the Southern Nevada Lotus Car Club and Lotus Ltd with the GGLC has sub-host. Over 400 Lotus enthusiasts are expected from across the country and around the world. What is LOG? 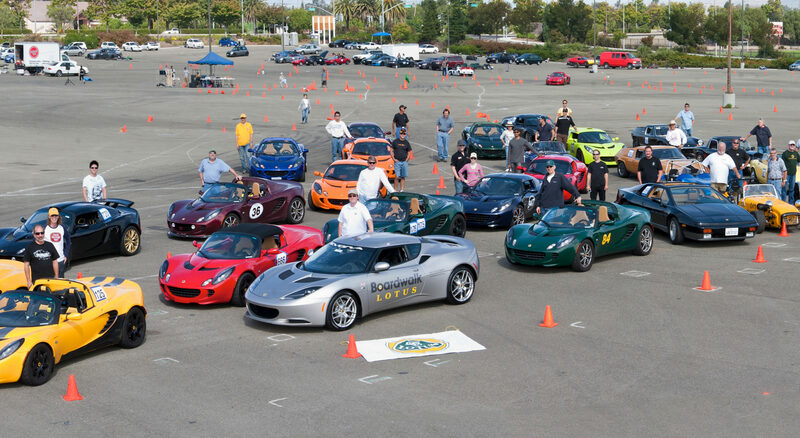 Think West Coast Lotus Meet on steroids, bigger, more events, more fun! There will be karting, bowling, concours, autocrossing, track day, scenic tours, tech sessions, Lotus contests and more! All LOG entrants must be a member of Lotus Ltd. GGLC members who are not currently Lotus Ltd members can join at special offer of $10 for a year membership (normal membership fee is $45). This offer to GGLC members ends Oct 4th. For details and to download a special registration form for GGLC members visit www.gglotus.org/LOG31. Corkscrew Mania – Lotus Cup USA & GGLC – June 26 at Laguna Seca. Last day to sign-up is June 20. GGLC/Lotus Corral & Tickets for the Monterey Motorsports Reunion – deadline to buy discount tickets & corral passes is June 25th.